This is a monthly meetup event presented by Shibuya.lisp. Please feel free to atend this event. We will talk about Clojure at this meetup. 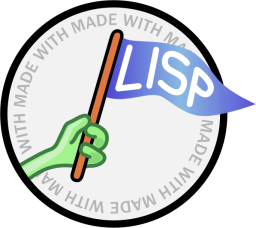 However, we welcome other topics from all the Lisp family. We are calling for talkers on topics of Clojure and other Lisp. Why don't you output your knowledges or codes accumulated daily. We welcome talks about Lisps other than Clojure. If you are going to have a talk, please register this event and inform us via the comment form. Shibuya.lisp published Shibuya.lisp lispmeetup #60. I joined Shibuya.lisp lispmeetup #60!